New IEEE Standard - Inactive-Withdrawn. Withdrawn Standard. Withdrawn Date: May 20, 1996. No longer endorsed by the IEEE. 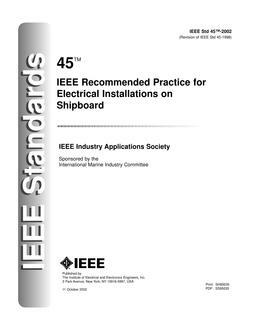 The following topics were dealt with: IEEE C37.103-1990, IEEE Guide for Differential and Polarizing Relay Circuit Testing, covers the testing and verification required to ensure correct connections for ground relay polarizing and differential relay connections. Relay calibration, setting, insulation, and instrument transformer tests are referred to in this guide and are assumed to be developed by the individual user. This guide is not intended to discuss these aspects in detail.